Live production of this model will cease by Dec 29, 2017. Please contact Taconic if you have future needs for this model. A new and improved B6 Albino strain based on the C57BL/6NTac substrain. The B6 Albino model was developed by Taconic. The Tyr mutation is a constitutive knock in of a point mutation in which a G nucleotide located at position 369 in exon 1 has been replaced with C nucleotide, resulting in an amino acid substitution at position 103 (Cys>Ser). The F3 site flanked selection marker was removed by via Flp recombinase. This mutation was made in the C57BL/6NTac substrain. The line was intracrossed to homozygosity. Production at Danish facilities ended on December 31, 2015. This model is produced in the U.S. and available to ship internationally. Use the Taconic B6 Albino as a blastocyst donor for agouti JM8A3 ES cells. Use of the Taconic B6 Albino as a blastocyst donor for JM8A3 ES cells permits detection of germline transmission by coat color in 100% of pups. G1 germline pups are heterozygous at one or two coat color loci. 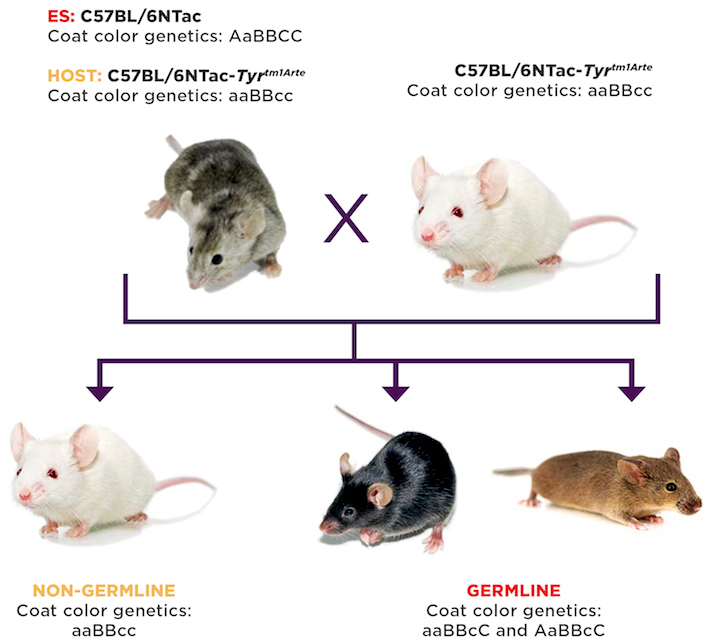 Zevnik B, Uyttersprot NC, Perez AV, Bothe GW, Kern H, Kauselmann G. (2014) C57BL/6N albino/agouti mutant mice as embryo donors for efficient germline transmission of C57BL/6 ES cells. PLoS One. 2014 Mar 5;9(3):e90570. The Models will not be bred or cross-bred except to obtain embryos or fetuses required for research purposes unless a breeding or cross-breeding agreement has been legally executed. Please contact Taconic Customer Service for details. 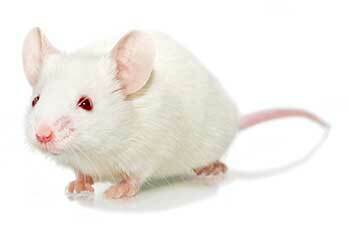 C57BL/6N albino/agouti mutant mice as embryo donors for efficient germline transmission of C57BL/6 ES cells.